Chris Watts is escorted into the courtroom before his bond hearing on Thursday at the Weld County Courthouse in Greeley. The Weld District Attorney’s Office has filed formal charges against a Frederick man arrested last week on suspicion of murdering his pregnant wife and their two daughters. 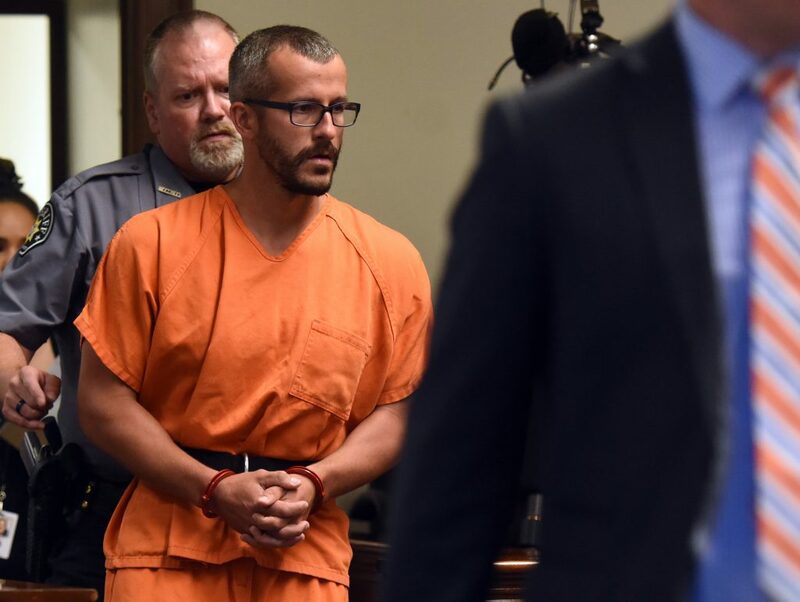 Christopher Lee Watts, 33, faces three counts of first-degree murder after deliberation, two counts of first-degree murder of a victim under the age of 12 and by a person in a position of trust, one count of first-degree unlawful termination of a pregnancy, and three counts of tampering with a deceased human body. The district attorney’s office is hosting at 4 p.m. a press conference to discuss the charges. Weld District Attorney Michael Rourke will hold a news conference Monday afternoon to announce what charges will be filed in Weld District Court in connection with the killing of a Frederick woman and her two children. Charges are expected to be filed against a 33-year-old Frederick man, Christopher Watts, suspected of killing his wife and two young daughters, authorities say. Watts was arrested last week in Frederick on suspicion of three counts of first-degree murder. He could also face three counts of tampering with a deceased human body, a Class 3 felony. Rourke has until 3:30 p.m. today to file charges in the case, and will hold a news conference at 4 p.m. at the Weld County Court buildings to announce the nature of the charges, according to a news release from the Weld district attorney’s office. Questions about gruesome facts of the case also may be answered if a judge decides to open a sealed arrest warrant affidavit that explains why police arrested him. At the request of prosecutors, a judge sealed the affidavit. Several sources have said that Watts confessed to killing the three after pretending he had no idea about their whereabouts. One mystery that may be solved with the opening of the documents is how the three members of the Watts family were killed. Court documents filed Friday by Watts’ attorney strongly suggests that he strangled his two young daughters. The attorney had asked that the girls’ necks be swabbed for DNA evidence even though their bodies had been inside an oil tank for four days. A Weld County District court judge denied the request. The arrest affidavit could also explain how and why Shanann Watts was killed and exactly where their bodies were found. Watts worked for Anadarko Petroleum Company until Wednesday when he was fired. Authorities said the bodies were recovered from Anadarko property.